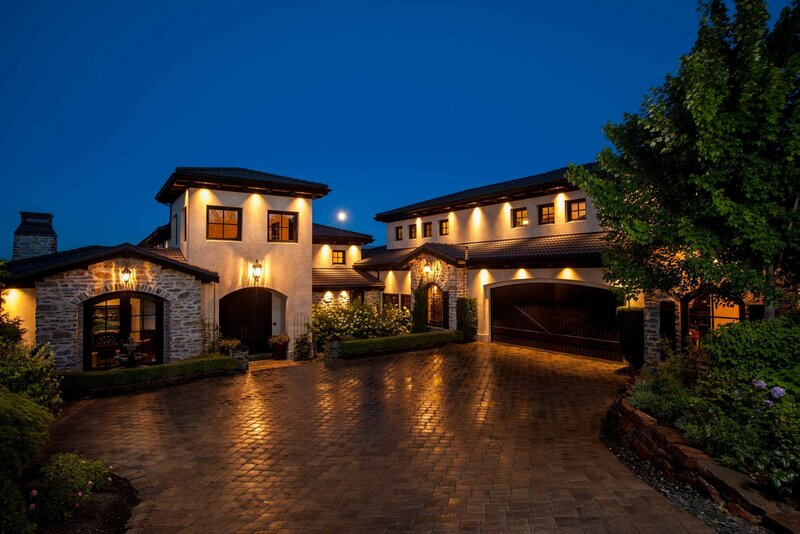 SOLD – After an exciting auction with 7 registered bidders the winner purchased this Luxury Kelowna Estate for $3.278 million. Jane Hoffman Group, in partnership with Platinum Luxury Auctions and The Garage Sale, is delighted to showcase this amazing property, up for auction on October 5th. Set among the verdant farmland and dramatic foothills of beautiful South East Kelowna, 3480 Water Road is an exceptional orchard estate. More than 14 acres of privacy and unbeatable lake and city views, yet only 15 minutes to Kelowna’s bustling city centre, the property affords its owners the premiere Okanagan lifestyle. Behind the gated entrance and tree-lined drive, this grand country home boasts old-world style and a comfortable elegance. Over 10,000 square feet of spacious, light-filled rooms, thoughtfully designed spaces, well-appointed details, and resort-like outdoor areas make this desirable estate unique. Kelowna is Canada’s fastest-growing city. The Okanagan’s four perfect seasons, wineries, golf courses, ski hills, incredible mountains and lakes offer a year-round playground for those in search of the best. Jane Hoffman Group is at the forefront of this innovative way to market luxury real estate.